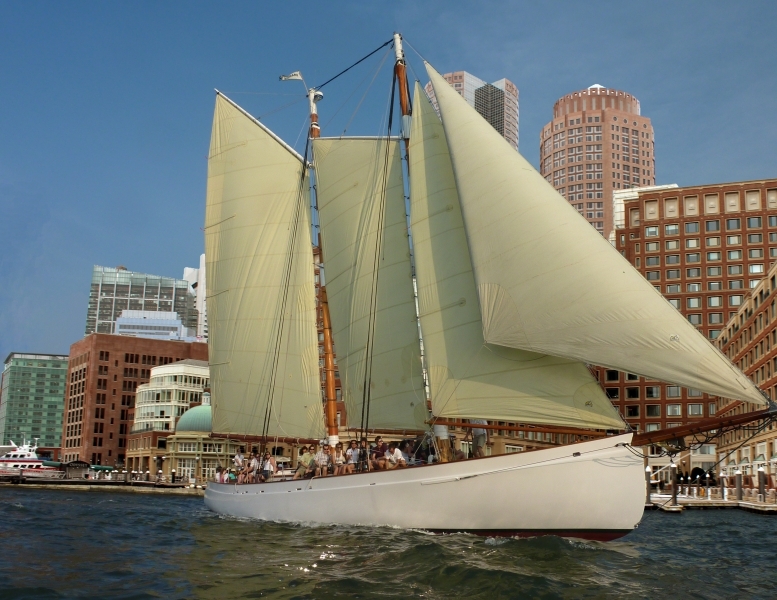 Adirondack III was designed and constructed specifically for carrying passengers comfortably, which is uncommon for historic schooners. 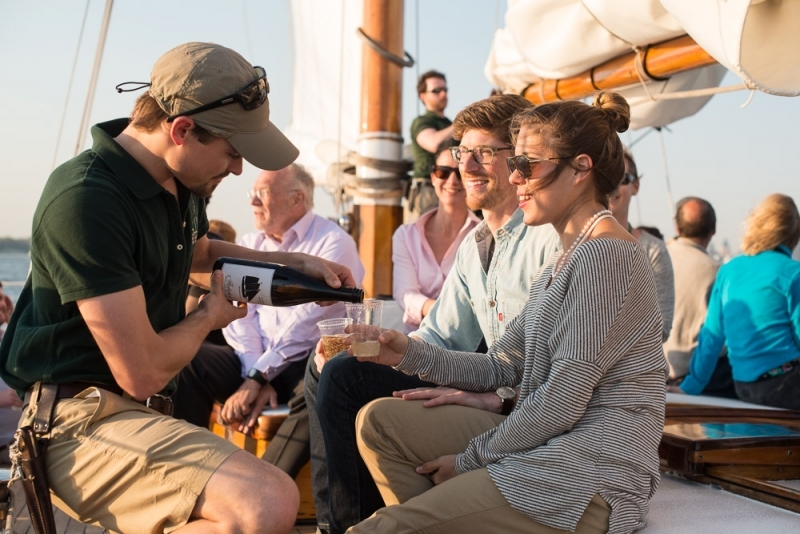 Due to the modern and innovative design of Adirondack III, guests will have room to sit and move around the boat. Adirondack III measures 80 feet in length overall with a 16-foot beam. 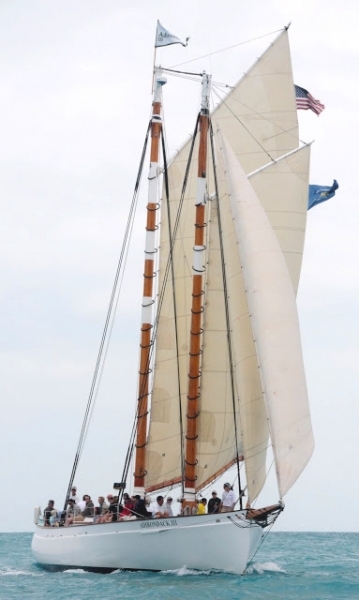 Her lines are modeled after 1890s style pilot schooners. 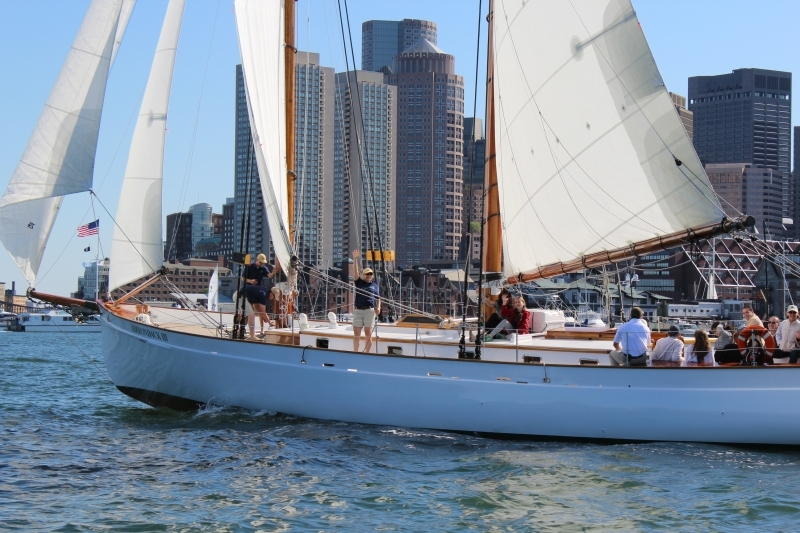 Adirondack III is long and lean with a spoon bow, which helps her ply through the waters more effortlessly than the average schooner. 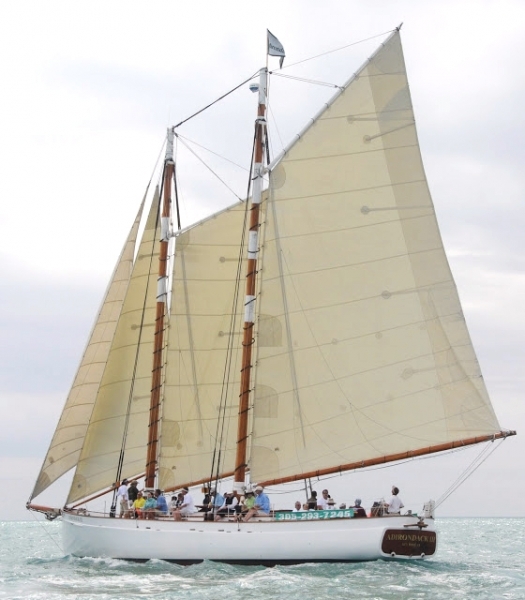 An all-wooden vessel with a white glass overlay hull, Adirondack III is quite easy to pick out amongst her fellow schooners with her smooth clean lines. 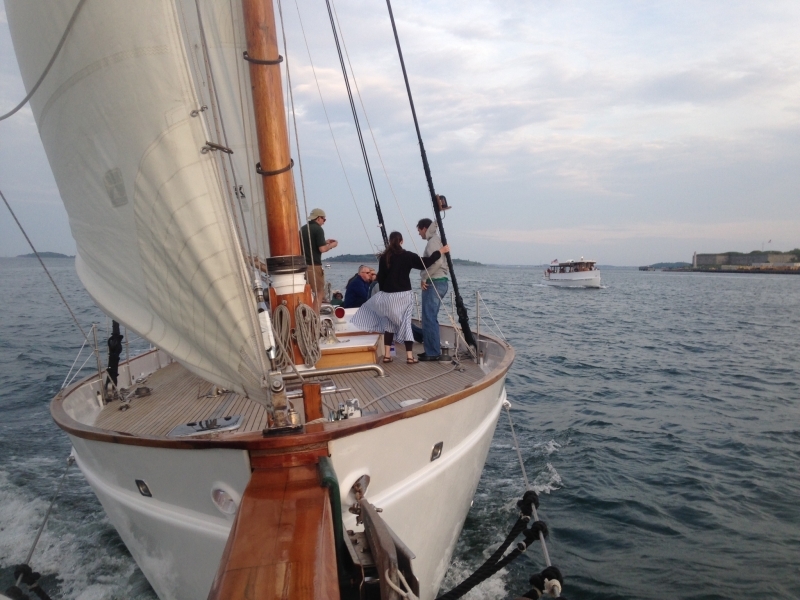 When you step aboard Adirondack III you’ll notice her clean teak decks and brilliantly varnished mahogany rails. 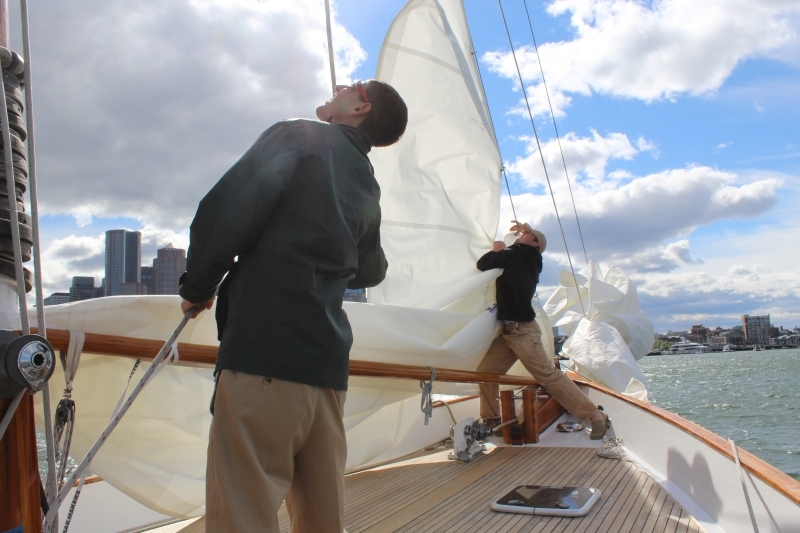 When your focus takes to the sky above you, you will find two towering Douglas Fir masts and nearly 2,000 square feet of sail stretching to the sky. 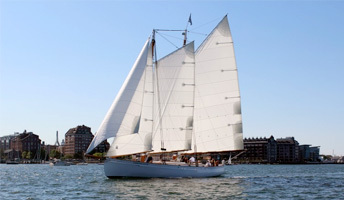 Adirondack III is sure to amaze you and your guests with her majestic beauty. 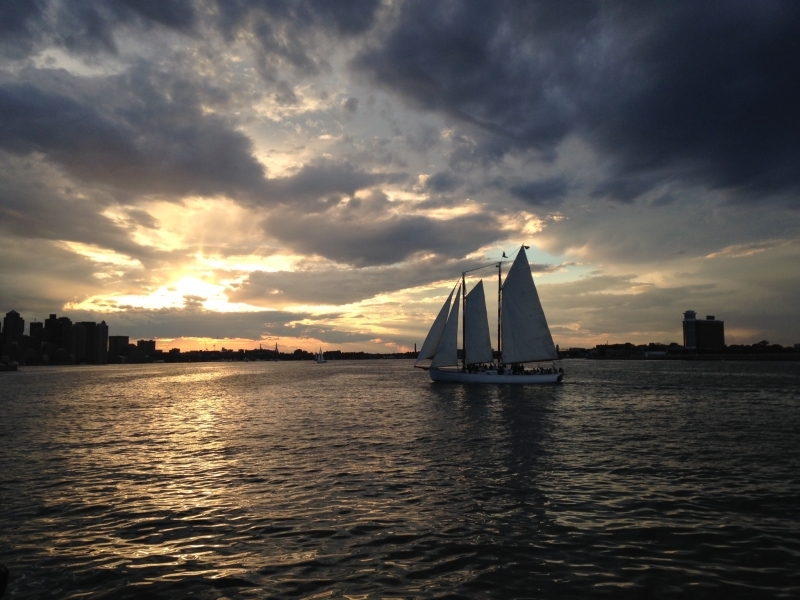 Whether you are out on one of our sightseeing cruises or you want to have a romantic Boston sunset sail, Adirondack III will be sure to impress! 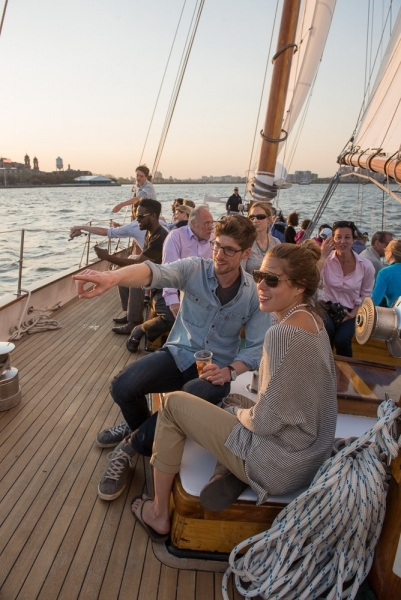 Sail Boston Harbor aboard this beautiful schooner and take in the sights of Boston in style. 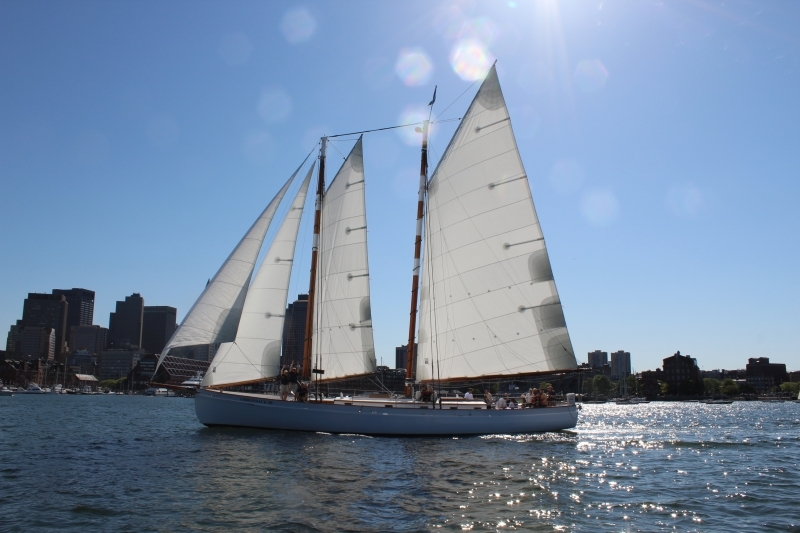 Adirondack III is a U.S. Coast Guard certified vessel sailing with U.S. Coast Guard licensed captains and only the most experienced and hospitable crew. She is equipped with an abundance of life jackets, two well-appointed bathrooms, blankets for cool evenings, and beverages on all trips.